Meet the All New Radian Fly Rod, until now, fly anglers had to choose between a rod with power and line speed, or a rod with touch and feel. With the New Scott Radian rods you get both. The Scott Radian rod features Scott's "React" technologywhich dramatically increases the recovery speed of the rod by removing vibrations and creates fast action, high speed, rods with loads of feel. Features like titanium framed SiC stripping guides, custom reel seats with burled box elder spacers, the very top grade Portuguese cork, and the new patented Universal snake guides from American maker Snake Brand round out the most fully loaded rods to ever grace a rod rack. ReAct Technology - Brings together X-Core with a new complex materials and taper system to dramatically increase recovery speed. X-Core Technology – Enhanced feel, incredible stability, and unequalled performance. X-Core combines the industry’s most advanced composite technologies. FiberFuse - Enhanced resin uses new chemistry to create stronger bonds between each fiber. The Vision Vipu gives incredible performance and quality at an unbelievable price! 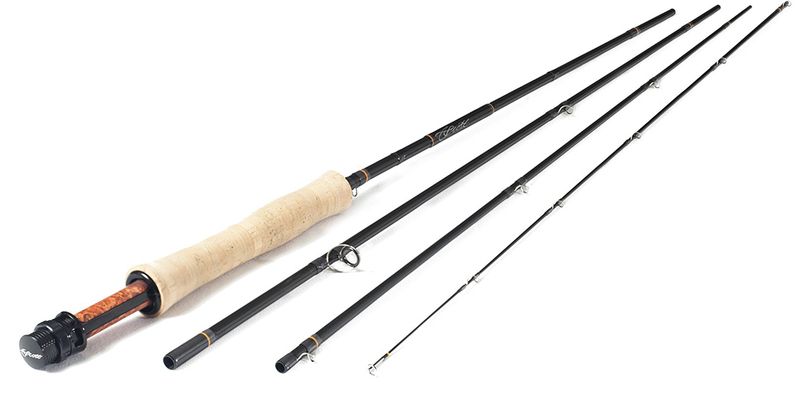 The Scott Radian rod handles floating and sinking lines easily and casts tight, precise loops. The Redington Dually switch rods are lightweight and lively far beyond their price point.